A next level practice for students who love the Ghosh lineage and style of traditional Hot Yoga. It is a collection of 40+ postures taken from the Ghosh Advanced Class; a traditional practice consisting of 90+ postures. In this Series we focus more effort on upper body strength through foundational arm balancing, as well as learn inversion postures and deeper hip and spine opening. 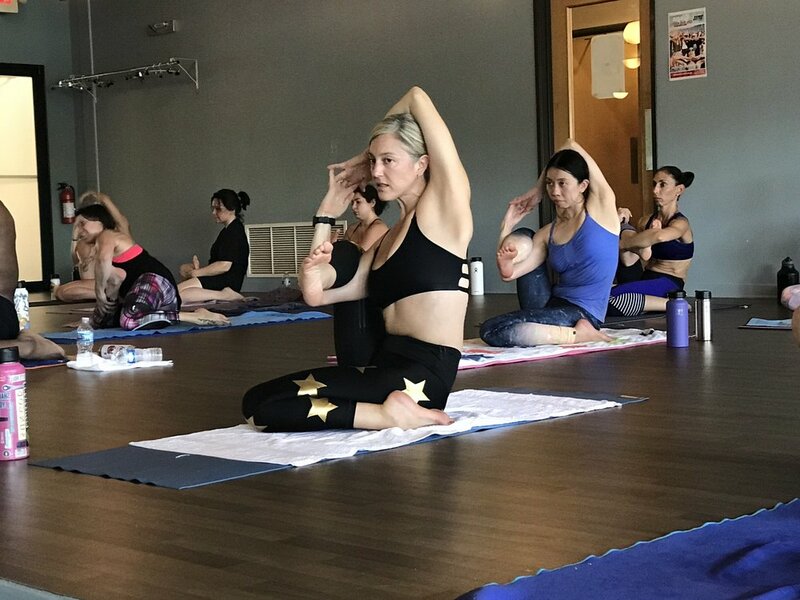 It requires students to enlist the principles they have learned in their beginners practice, the bedrocks of Hatha Yoga, stillness and breath in asana, and in turn, use them in a more advanced series. Additionally, it is designed to be accessible to a wide range of students while still being a challenging step forward for students of the Beginner's practice. Ida Ripley is a 5X Western Canadian Hatha Yoga Champion. She has practiced Bikram yoga for over 15 years and has presented at the professional level as the first Bikram sanctioned Canadian yogi to lead workshops and seminars worldwide. Since 2003 Ida has been teaching full time, in several countries around the globe, and has been teaching in-depth workshops and seminars since 2009. As the creator of the I.R.I.S. and Yin96, her knowledge of postures paired with her clear and concise teaching style creates a wonderful balance of hard work & and “a-ha” moments in all of her classes. Be Inspired and learn from the best. No matter your yogi level, flexibility, knowledge or experience Ida’s classes will leave you feeling excited about your practice.